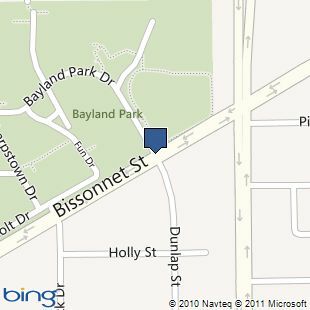 Where: Meetings are held at the Harris County Bayland Park Community Center at 6400 Bissonnet Drive near Fondren Road. Click the map for details (the map will open in a new window). WE NEED Field Trip leaders! 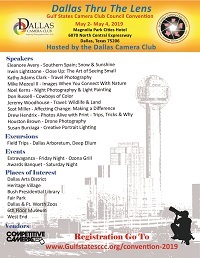 Memorial to 30+ year member and supporter of Houston Camera Club, Denny Moller. Please click here. 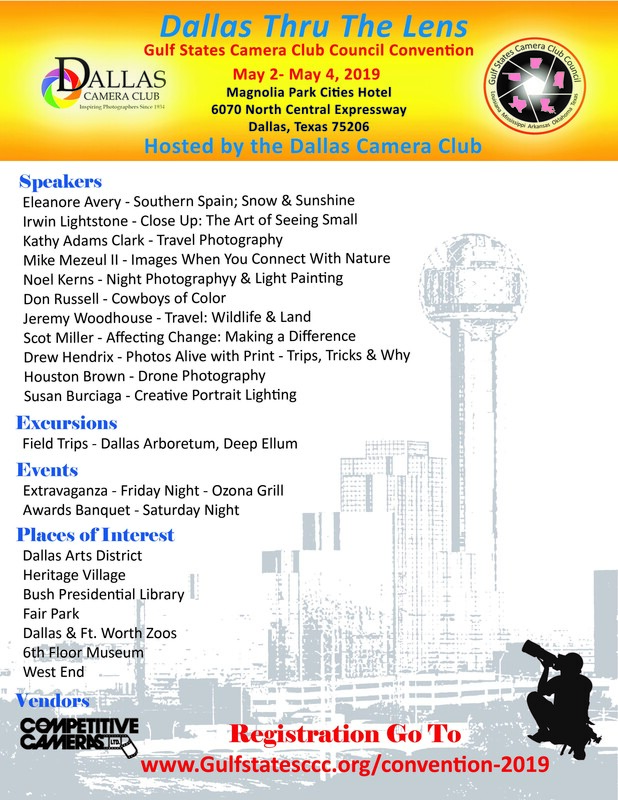 supporter, and benefactor to Houston Camera Club.